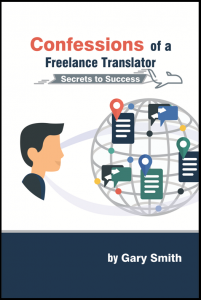 This award-winning book deals gives practical advice for freelance translators on how to organise workflows and improve the quality of services we give to our monolingual clients, guiding them through the translation process to meet their needs…and much more. For translators starting out or those who wish to make the leap to a more professional level of work and client base. Available on Lulu and Amazon. ← Machines translate. Humans write.